We are always trying to make things better and easier for our clients. One of the things that most clients want as a goal is to be published. Working with various magazines, I submit photos of my clients to the magazines that I work with. 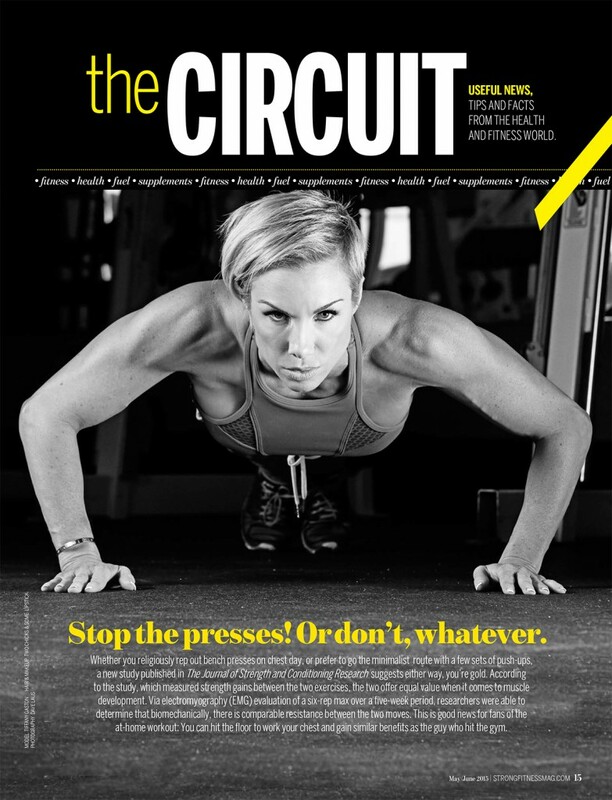 Sometimes a magazine will like a model’s look and ask for them to come back and shoot a workout for a feature. But what if we were to be one step ahead on this? What if during your photoshoot we could capture a choreographed workout, just like we do for the magazine’s we work with? This would give you a leading edge over other submissions because you are submitting professional quality photos, shot exactly as they would be for the magazines that they are being submitted to. My wife Nichelle Laus is a certified personal trainer, with very high credentials, and she is well respected in the fitness industry as an expert. She writes articles and workout features for multiple magazines, and both her and I have established a great reputation and working relationship with various magazines. I am pleased to announce that Nichelle will be offering her services at our photoshoots now to design a workout for you to be in, and I will shoot it for you, with killer make up and hair by Lori Fabrizio or Valeria Nova of Two Chicks and Some Lipstick. You could use these photos for submissions to magazines, for your own website, or for your personal portfolio. Don’t be fooled by photographers who agree to shoot with you and choreograph the workout themselves. Other then taking the picture, what qualifications do they posses to ensure that you are doing the exercise correctly and with correct posture? This can make a critical difference in your workout routine being selected for publication by a magazine. This is why we choose to involve Nichelle in this process, her experience is paramount to this package and end product. If you were commissioned to shoot for a magazine and their crew was on set, would they have you just perform exercises and let the photographer take pictures? No, they would have a trainer on set who would be there for quality control. Nichelle does exactly that, just like she does for the magazines that we are commissioned to shoot for. The workouts will be shot on either a white background, a gym setting or a different background setting (example – outdoors), depending on the workout type, and on what the shoot team decides will work best for marketability with the model. Nichelle will write the accompanying content to be featured with the article. Contact us at davelaus@gmail.com to book your shoot. This is a unique feature that we are offering and is your best advantage to get published if that’s your goal. We can NEVER promise that this will guarantee you to be published, that always depends on what magazines are looking for, your conditioning, your look and other factors. However, we can guarantee that you will have the BEST package possible to put forward for submissions and in most cases, that the right people see your images. Don’t miss out as we are only taking limited shoots per month with this option! How do you get started? Click HERE to see our packages availible.